Caffe Palermo is always full and there’s good reason. Baby John is usually on hand to meet and greet his customers, going the extra mile to ensure you’re confortable and well taken care of from the moment you walk in. The staff here always aims to please, too! I’ve had the pleasure of dining at this iconic New York City restaurant numerous times, and it's always the highlight of my trips to Little Italy! Of course, Caffe Palermo is perhaps most famous for Baby John’s many sizes and flavors of cannolis, but the menu does not stop anywhere near there! This ends up being a restaurant where you can cater your meal to any occasion and any size appetite. 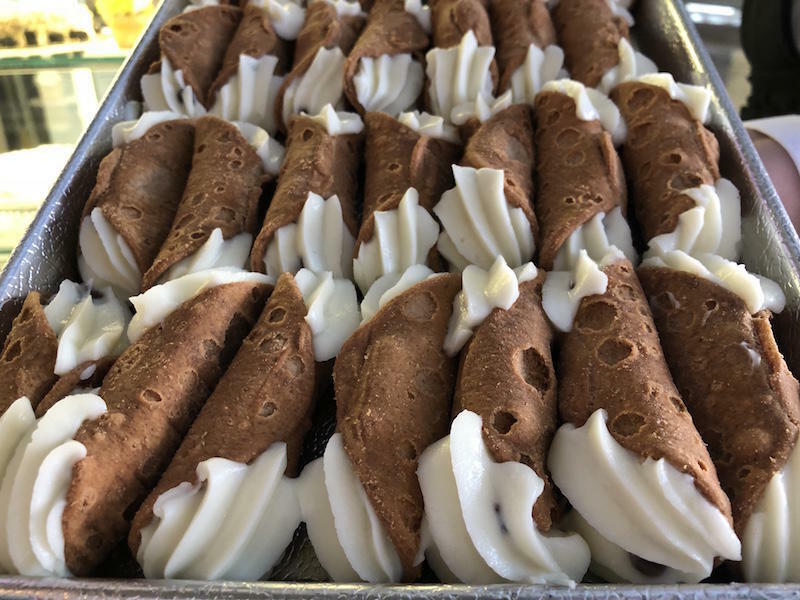 And there’s literally something here to suit every palate, but no visit to Little Italy NYC would be complete without sampling Baby John’s world famous cannolis! Caffe Palermo also offers a complete list of authentic Italian sandwiches, Paninis, generous antipasto platters, salads and pizzas. 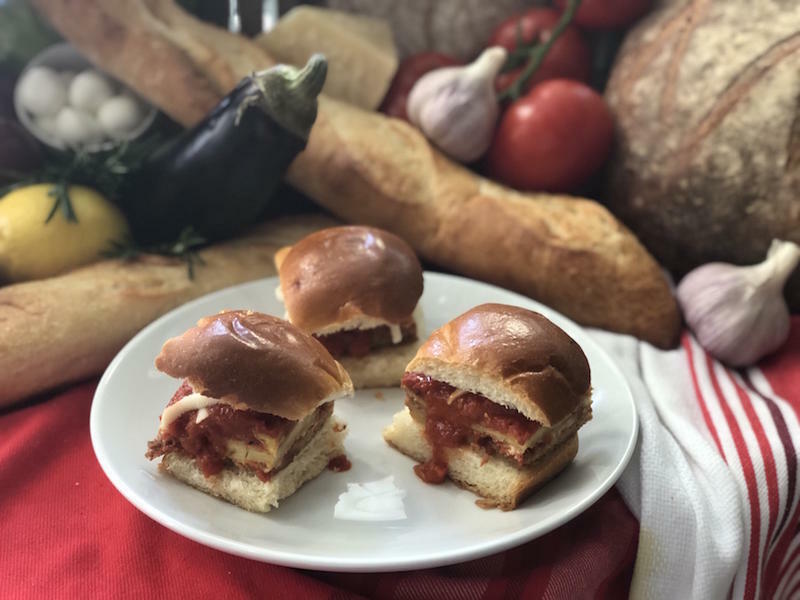 It’s hard to pick favorites, but we keep coming back for the eggplant sliders and meatball Parmesan hero; the eggplant sliders are purely delightful and just the right size, too! 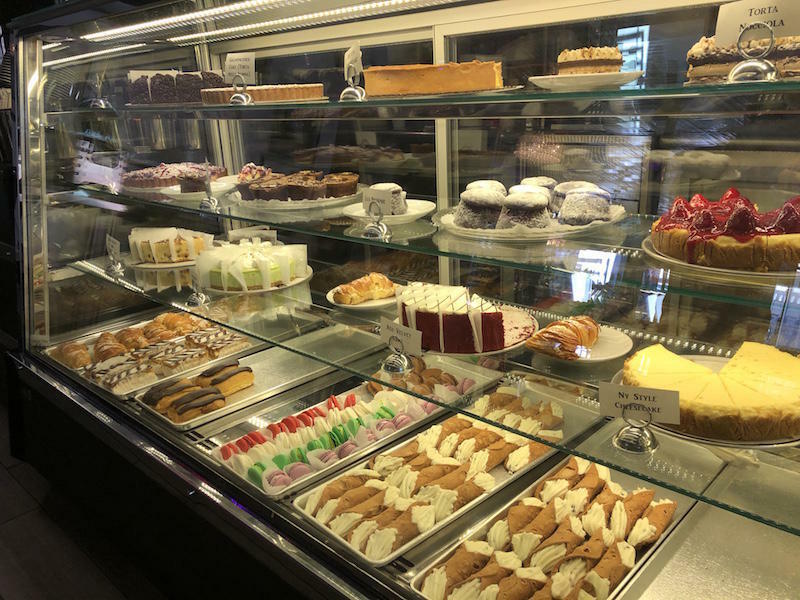 The dessert case is full of choices and certainly requires more than one visit to adequately experience. Tarts, coppas, parfaits, hand dipped gelato cones, sorbets, cookies of every imaginable kind, ice cream bombas, orange and lemon ripienos…You get the idea - the list is extensive! And every single item in the case is always very fresh and looks absolutely fantastic. 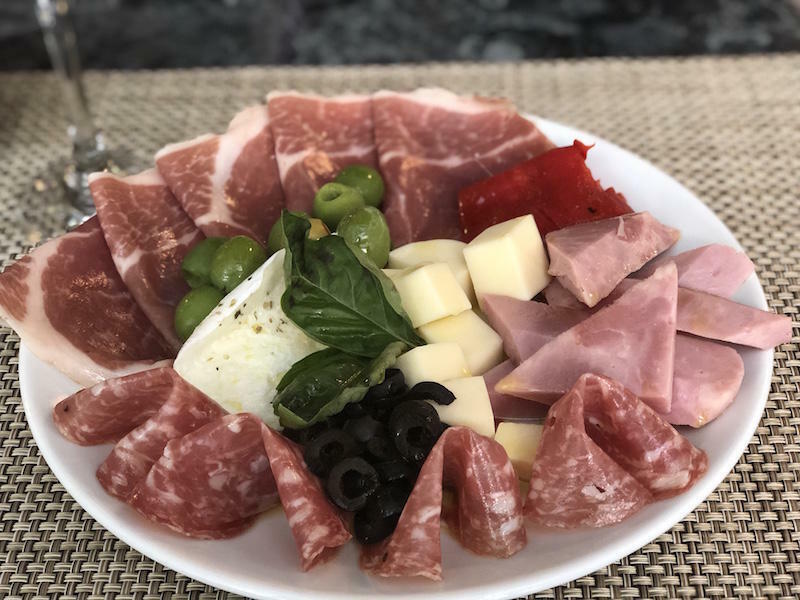 Of course, Caffe Palermo has an extensive list of Italian and American wines and beers to perfectly complement any type of meal, and they also offer a long list of coffees and espressos. 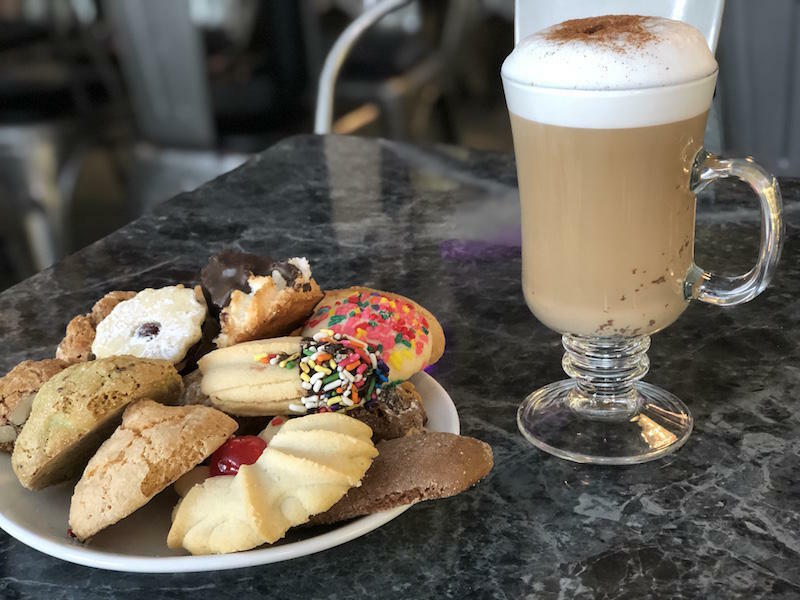 Caffe Palermo is a lively place that is always full of cheer! It is a must-do stop on any visit to Little Italy in New York. Insder Tip: The people watching along Mulberry Street from the outdoor tables in the summer is an added bonus.